A massive time saver in that users opening a document are automatically added to the edit share list. 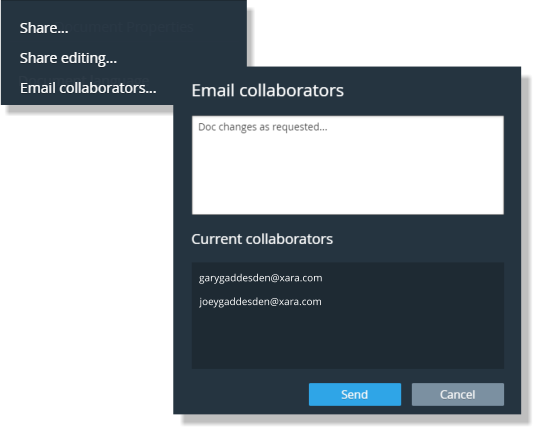 So now the Email collaborators feature will email everyone who has opened the document and not just those manually added to the edit share list. Especially useful for users who open shared documents directly from shared cloud drive folders rather than from an email notification. 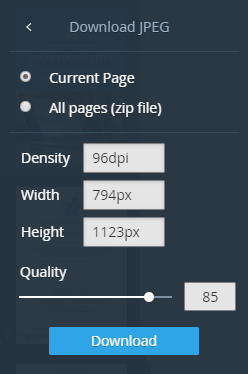 There is now the option to download a zip file containing a JPEG or PNG for each page of a multi-page document. So now you now longer need to perform a separate download for each page in turn. Useful with the new multi-page social media designs - Instagram stories - to name one example, where you want to upload multiple slides to your Instagram feed. Find the options in the Documents > Download menus for JPEGs and PNGs. On iPad pinch zoom on selected images not working - fixed. Page dragging (scrolling and panning) on picker, and page thumbnails, not working correctly - fixed. iOS pinch zoom not working correctly - fixed. Customer requested a new font and we added it - Google Font "Alex Brush" now appears in the font picker. Low-res Firefox sign-in animations - fixed. Inaccurate click selection on document load - fixed.